Macanudo Cafe | Chicago's Pipe, Cigar & Tobacco Store | Iwan Ries & Co. 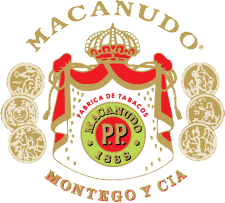 Introduced in the United States in 1971, Macanudo quickly became the leading premium cigar brand and remains the number one selling brand today. Produced in the Dominican Republic, Macanudo is made with a flavorful Dominican blend and a select binder grown in the rich San Andreas Tuxtla Valley of Mexico. Only the makers of Macanudo have the passion it takes to grow, cure and age their own Connecticut Shade, the most sought-after tobacco for premium cigar wrappers. Only the choicest Connecticut Shade wrapper is used to make Macanudo Cafe cigars.